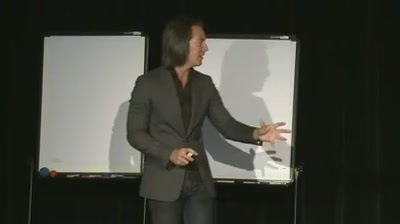 Mike Walsh helps prepare global business leaders for what's next. He is a leading authority on the intersection of emerging technologies, consumer behaviour and fast growth markets. In his current role as CEO of innovation research lab Tomorrow, he helps some of the world's leading brands and companies shape the future of their industries. Constantly traveling the world for the best ideas, he distils the most relevant insights into tailored keynotes that allow any audience to not only understand, but also start to influence the future direction of their industry. Rather than focusing on the distant future, Mike focuses on the next five years - scanning the near horizon for disruptive technologies and consumer innovations on the verge of hitting critical mass, and then translating these into usable business strategies. Author of the best selling book 'Futuretainment' and publisher of the 'Disruptive Future' newsletter read by thousands of professionals in the media and entertainment space, Mike's unique insights and operating experience in emerging markets makes him an expert on the growing influence of consumers in BRIC countries on breakthrough innovation and business transformation. Mike's new book, 'The Divergence' charts the rise of online consumers in these emerging markets, and shows that tomorrow's Web will be radically different to conventional Western models and will require entirely new engagement strategies. Mike's views have appeared in a wide range of international publications including Business Week, Forbes and Wallpaper Magazine. Mike has been a pioneer in the digital space since the 90s, running both successful start-up ventures as well as holding senior leadership positions in established media organisations. With a background in corporate law and management consulting, Mike began his career at XT3, a spin out from McKinsey and one of the first digital consulting firms created to help major companies embrace the embroynic Web. During the first dotcom boom, Mike launched a technology publishing group in Australia, which went on to become the leading local technology news and events platform in the country. He also founded and ran Jupiter Research in the Asia Pacific, one of the first research agencies to track the early adoption of e-commerce and digital business models by online consumers. During this period, he was recognised as one of Australia's 'Top 30 Entrepreneurs Under 30' by the Sydney Morning Herald and the Age Newspaper. While in Hong Kong and inspired by the dramatic changes taking place in China and India, Mike founded his latest venture, Tomorrow - an innovation research lab focused on emerging technology and disruptive consumer behaviour. Always in demand for his fresh insights and practical future focused strategies - Mike has advised the CEOs and senior management teams at multinational companies include the BBC, Fujifilm, Richemont, MSN, Star TV, Televisa, Philips, and HSBC. Mike is a dynamic and high energy presenter, blending a multimedia feast of video, high impact visuals and mind blowing case studies of innovation from his personal experiences in cutting edge global markets. Whether a conference, strategy offsite or an intimate boardroom discussion - Mike's presentations act as a powerful catalyst for innovation, strategic planning and brand inspiration. You can experience these topics as either a high impact 50 minute keynote or a half day workshop with interactive exercises and facilitated discussion. Supported by a global network of analysts and researchers - Mike takes the time to work with you and your team to tailor his presentations to directly address the issues directly relevant to your company and industry. Welcome to the Revolution. The balance of power has shifted and consumers have taken control. How we buy, sell and engage customers with our brands is being transformed by powerful new forces - both technological and anthropological. Based on Mike Walsh's best selling book, FUTURETAINMENT is a fast paced tour of the latest technologies, global trends, and case studies that will forever change the way you think about your relationship with your customers. What does it take to lead a 21st century company? New technology is not only an opportunity to improve productivity, it invites us to ask a much bigger question - can we re-imagine the way we do business? Forces of change surround us. Whether it be generational turnover, the Cloud, mobile work, or the rise of the social enterprise - the companies that thrive in the near future will be the ones that not only embrace change but are the first to break the rules. With original consumer market research, practical evaluations of next generational enterprise tools and case studies from some of the world?s most innovative firms - you will have everything you need to start thinking like a FLEX firm. Social unrest, economic turmoil, rapid technological change - we live in a world seemingly dominated by crisis. And yet if you look more closely, you may also see a different set of patterns giving rise to new markets, new consumers and new ways to do business. 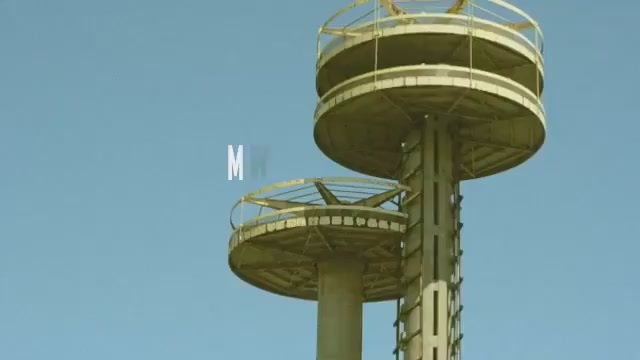 The future is already here, you just need to know where to look. From disruptive mobile technology from China to India's low cost business models, next generation mobile banking in Africa and social consumerism in South America - innovation is shifting to a new geography. How we interact, transact and entertain ourselves in the future will be shaped by a billion new consumers from emerging markets. THE FUGUE is your roadmap to understanding and accessing the growth potential of tomorrow's world. VERY engaging slides, style and presentation. Great to get some fresh new information! Great session. To be perfectly honest, Im sort of lost between being very excited and very frightened. Thank YOU for contributing to Foxtels success. The audience loved Mike and we had particularly good feedback from the Minister and our direct client, which was great news to us. He had the audience laughing and even the crew were hanging on his every word, which is extremely unusual. He was polished, sophisticated and perfect for the event, so thank you Ovations for putting him forward in the first place.